Here we go. Another year. It’s not as if years are packaged into little separate baggies. It’s just the calendar turning over. January 1st is one day after December 31st, just as December 1st comes right after November 30th. But we can’t help but see the new numbers as a new beginning. It’s human nature, isn’t it? 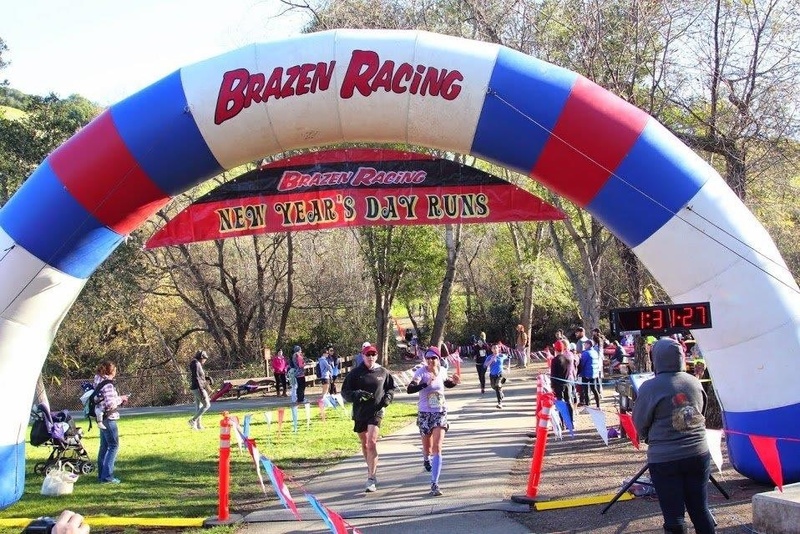 My tradition since 2010 has been to run a Brazen trail race on New Year’s Day. The photo above captures a special moment. It’s been a long time since I’ve crossed a finish line with my good buddy, Randy, who is also my brother-in-law. It’s the little things that make racing fun. What is ahead for this year? I’m trying to envision smooth sailing. Remission. All year. Running. All year. That’s my hope. And I expect to be with family and friends all year. Because I know they will be there, the best part of my life. 2014 was amazing. One could look back and characterize my year into three parts: getting ready for the transplant, having the transplant and recovering from the transplant. That would be true. But my year was so much more. When my life changed in 2013, I began thinking and feeling so much deeper than before. It’s as if my senses became acute to the life around me. I chose to focus on all the wonderful things around me. There are a lot of wonderful things! I haven’t been able to come up with big changes I want to make for my life this year. It’s not because life is so perfect or I have evolved into someone needing no improvements. Of course not. I do however choose to focus on what is right and along the way, I’m going to try to work on the things that aren’t, as they affect me. I’m not one for big resolutions, although I usually like to challenge myself in some way. I’ve tried to come up with some goals, but I have realized that I’m doing what I need to be doing right now. I’m working on my fitness and business goals, I’m trying to stay healthy, and I’m aspiring to be a better mom and wife. I know I could do more. I’ve thought a lot about my good fortune in my recovery and whether there is any possible reason for it. Perhaps I was meant to use it as a tool. I’ve come to feel a responsibility to help educate and promote awareness about my disease. The wheels are turning in my head. For now, I’m starting small. I’ve got a birthday coming up. It’s a big one for me…55. Starting on Friday the 16th, my birthday, I plan to spend the weekend running, cycling and in the pool. It’s called “I Can’t Drive 55”. (So I’ll run, bike and swim!) I’ve told my friends, no gifts please, although a donation to Amyloidosis.org would be OK if one feels they must do something! If you’d like more info about “I Can’t Drive” , please leave a message here.